Meet Dr. Lee Weisbard, D.D.S. Dr. Lee Weisbard, D.D.S., received her Doctor of Dental Surgery degree from The University of Colorado School of Dentistry in 1984. After working for 6 years in Public Health Dentistry at Westside Neighborhood Health Center, she opened her unique practice in the Denver Technological Center. In 1987, Dr. Weisbard served as a volunteer dentist in Sderot, Israel. Creating and maintaining a beautiful, healthy smile requires technical excellence, compassion, patience and an artistic eye. Dr. Lee Weisbard, D.D.S., has the skills and committed excellence in cosmetic, general and dental implant dentistry that brings you the best dental care in Greenwood Village, Englewood, Cherry Hills, Littleton and the surrounding cities of Denver. Her commitment to excellence, her passion and her compassion are her motivating factors. She spends countless hours in continuing education with special emphasis on cosmetics, occlusion (the way the teeth come together) and dental implants. Her artistry is well known throughout the region, and she has created some of Denver’s most famous smiles! 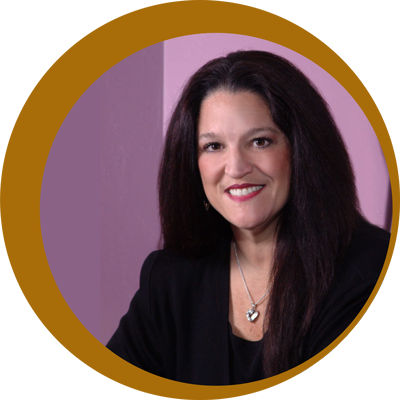 A member of organized dentistry, she is active in the American and Colorado Dental Associations as well as The Metropolitan Denver Dental Society. Dr. Weisbard is also a member and past president of the Denver Chapter of Alpha Omega Dental Fraternity. She has been involved with the Alpha Omega fraternity on an international level for three decades. She is also involved with a number of chambers of commerce, including The Alliance of Professional Women, Camp Experience, Denver Tech Center’s Colorado Business Women and sits on the board for various non-profit organizations. Dr. Weisbard has been named the 2018 Colorado Businesswoman of the Year. The honor acknowledges both her professional accomplishments and her willingness to mentor others. She received the award in May 2018 at the May Celebration of Women luncheon. Dr. Weisbard is married to David Rosenthal and has three daughters, three married stepsons, and three grandchildren. She enjoys the arts, theater, cooking, skiing and The Avalanche! Dr. Weisbard has been named Colorado Businesswoman of the Year. The honor acknowledges both her professional accomplishments and her willingness to mentor others. She received the award at the May Celebration of Women luncheon in May 2018. Also, in 2009, she was named the Colorado Businesswoman of the Year by the National Council of Jewish Women. 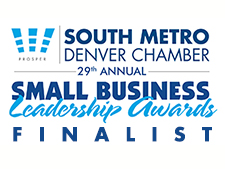 In 2014, the South Metro Denver Chamber of Commerce selected Dr. Weisbard as a finalist for the 2014 Small Business of the Year.